Eau de Colognes have always seemed rather uninspiring to me. They don’t feel full of promise the way perfumes do. They are a practical pick-me-up rather than something to make you swoon. 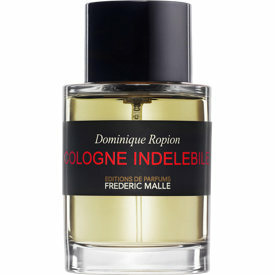 Cologne Indélébile (“Permanent Cologne”) may not whisper a tantalising story in my ear, but it is surprisingly luscious. Cologne Indélébile was created by one of the most renowned noses in the business: Dominique Ropion. Frederic Malle has worked with him on a number of fragrances for Editions de Parfums including Carnal Flower and Geranium Pour Homme. Released this past April, the notes for Cologne Indélébile include bergamot, lemon, narcissus, orange blossom, neroli and musks. It’s in the style of classic colognes in as much as it has a simple, largely linear structure. You really have to like orange blossom to like Cologne Indélébile because it’s orange blossom for 12+ hours. Rich, slightly syrupy and a little heady, it contains all the best parts of that gorgeous material. It’s top quality stuff and the updating lies in its exceptional radiance and staying power. Don’t expect twists and turns or novel accords – you won’t find them here. Cologne Indélébile was modelled on the traditional cologne and should be approached as such. If you thrive on complexity, you may be left wanting. In the early stages, the orange sweetness is cut through with slashes of sharp lemon. Cologne Indélébile wouldn’t be very cologne-like if it didn’t start off with that trademark citrus zing. After an hour or so, it’s orange blossom all the way. There’s neroli and bergamot in the mix but the orange blossom is what gives it body. Unfortunately I don’t get any narcissus. Whereas last summer’s Eau de Magnolia extended the cologne’s top half with the addition of a chypre base, Cologne Indélébile uses musks – four “technical” musks to be precise. I was rather apprehensive when I heard this because my musk comfort zone is extremely small. However, to my surprise, the musks fail to make an impact on me. They are apparently mostly of the white variety so perhaps I’m just anosmic to them. Those who do get them, seem to find them extremely voluminous. Whereas colognes usually feel attenuated, Cologne Indélébile feels substantial. It has great heft but manages to feel weightless. It combines the transparent feel of a cologne with the potency of a parfum. Of course, this is not a new concept in niche – thik Atelier Cologne or Mugler, but no one has done it with this degree of quality, volume and longevity. I can see Cologne Indélébile coming into its own in hot weather. 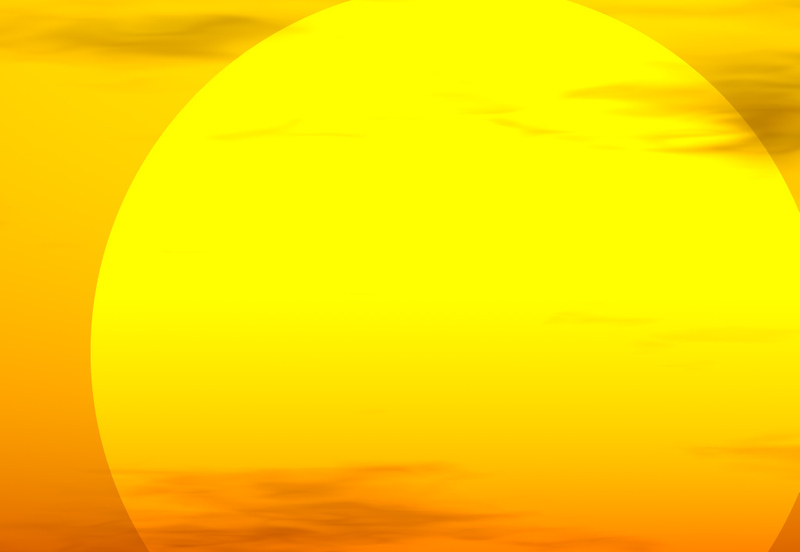 It will mirror the sunshine and keep you beautifully scented from morning well into the night, without ever feeling overwhelmed. This is supersized cologne for a modern generation. Have you tried Cologne Indélébile yet? This entry was posted in By Tara, Citrus, Cologne, Fragrance Reviews, Frederic Malle and tagged citrus, Fragrance, Frederic Malle, Perfume, Review. Bookmark the permalink. Hey Tara, thanks for the review! My patience in waiting for this to come into the Aus stores ran out, and I’ve now got a decant on its way… 🙂 love the sound of it, and I’ll let you know if I have the same issue with the musks – I know there’s some which I’m anosmic to (but which specifically remains a mystery…) and I’m not a fan of white musks, at all. But, yum… Orange blossom! Yum yum yum… Looking forward to it. How annoying that it’s taken so long to make it’s way Down Under. I really hope you’re happy with your decant and look forward to hearing how you experience the musks. Orange blossom is totally yummy. I have only tried it on paper, because like you, I feel uninspired by an Eau de Cologne. A lot to like, not much to love. But what intrigues me is the longevity. I want to test that on myself now. Exactly, Sabine. It’s not easy to fall for something so simple and linear but this is probably as good as it gets. I sprayed it at 8 in the morning and could still smell it when I went to bed that night. So envious that you have an FM store! I tried this and was not moved to put it on skin. Will have to try it now that you say the longevity is so good. Hope to see you soon. I know it’s so exciting, Sandra! Can’t wait to have a look around. FM stores always seem to be unique to each city and beautifully designed. I’m sure I’ll see you in just a couple of weeks time! You make it sound really lovely, and very timely for the fact that summer finally arrived. I will definitely try it if I see it. I think the niche lines, inspired by atelier cologne, are obviously on to the fact that calling something a cologne and giving it that citrus opener, gives them a male AND female audience. The white musks can be such spoiler, but you never know, there are probably some that I don’t smell. Yes, it’s good to actually have the right weather for cologne! I think you’re absolutely right that the success of long-lasting cologne-style fragrances have inspired this. I could do without such a strong lemon opening but that is the classic cologne start. I know you love complexity so I doubt this would woo you but it’s worth checking out over the summer, for sure. There’s a chance you won’t register the musks, like me. Barneys mailed me a very generous sample when it first came out. I purchased a bottle yesterday morning. Love Dominique Ropion’s creations. Good on Barneys. It obviously pays to treat your customers well because you went back and bought a bottle. I hope you enjoy it, spe. Dominique Ropion is a master. Wow V, they had clearly been told to really push the new release. That often happens but not taking no for an answer is a bit much, to say the least. You don’t expect the hard sell at Liberty either. I think you’re dead right in that if you already have something orangey in your collection there’s not much of an incentive to pay out for this. It’s very well done but it is far from the most discintive in the line, absolutely. You have just created the biggest lemming ever. My question is how different is this to Bigarade Concentree? Unfortunately I can’t answer your very good question because having read that BC has cumin in it, I always avoided it. I just can’t tolerate that note. I should try it though. Everything in the Malle line should be experienced. OK Tara, completely understand. I will definitely be seeing Tina soon. I have some decants for her too. Great. I’d love to know what you make of it. I know what you mean, Undina. It’s top drawer but it’s still a very simple composition which makes it hard to justify paying the price tag. I really wish I could have reported that I got narcissus because that might have made all the difference. May I suggest Bois d’ Orange (Roger and Gallet – another Ropion creation)? Thank you for the suggestion, I’ll give it a try… if I ever see it: I’m not sure I ever saw Roger and Gallet brand anywhere in a store – and taking into the account the size of my collection and number of perfumes out there hunting for a sample from an unfamiliar brand becomes less and less feasible. But thank you anyway! As far as I know, Roger and Gallet stopped selling in the United States a few years ago. They used to have a beautiful U.S. website, but now it states that they have stopped their U.S. operations. Sad. Hi Tara. It actually sounds quite lovely even though like you Eau de Colognes aren’t really my thing. I always think that I can spray on a super cheapie in that category and save my pennies for a ‘proper’ perfume. It’s so hot at the moment though that it’s the first time I’m beginning to see the appeal of a quality EDC. But still I’m sure there are many more Malle scents that I would prefer to this. Nice review as always. This does appeal to me in that I just don’t re-apply fragrance so I don’t bother with normal colognes. Maybe when I run out of orange blossom scents one summer I’d consider the travel set. It really is golden and gorgeous though I agree, if there are others in the line you also want, this is unlikely to take precedence.